These familiar signs of ink blockage, in both pens and in ink cartridges, are most often due to an expired product. 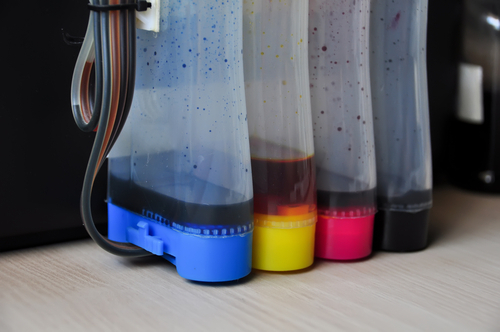 When an ink cartridge expires and dries up, the ink tends to dry in the head of the cartridge, clogging the ink from getting through or even causing the ink to leak out in uneven patterns. Not only can an expired cartridge dry up and make the ink or toner unusable, but it can also cause a blockage or even possible damage to your printer, resulting in more serious damage if not caught right away. When you purchase a new ink cartridge, whether it’s HP printer ink or any number of other popular inkjet brands, the expiration date (or sometimes called “use before” or “install by” date) is typically stamped on the bottom or top flap of the box so that you can know the date before purchasing. Many ink manufacturers may also include a warranty date with their ink cartridges, which refers to the date that they will guarantee their ink until. However, it is important to understand that these two dates are not the same. Expiration dates are typically one to two years after a warranty date. Not Using Your Printer: Cartridges can begin to go bad even sooner than their expiration dates if your printer is not used regularly. Therefore, even if you don’t use your printer very often, try to print at least one page every few weeks to keep your cartridges active. Not Properly Refilling Your Cartridge: Many people will often opt to have their old ink cartridges refilled in order to save money on printing. However, if you fail to reseal your container once it is filled, your ink can go bad very quickly and even evaporate over time. Ink cartridge expiration dates are created because, after that point in time, the ink cartridge no longer performs in the way that it was designed. For instance, air can work its way into the cartridge and can eventually dissolve the ink carrier. Even worse, the ink becomes sludgy over time, which not only clogs up your printer and print head, but also can mess up any important things that you are printing. If you have ordered from us before you can visit our Ink Technologies reordering page today to set up a reordering schedule that fits your printing needs in order to ensure that you are never stuck with expired ink and always have new refills on hand when you need them.